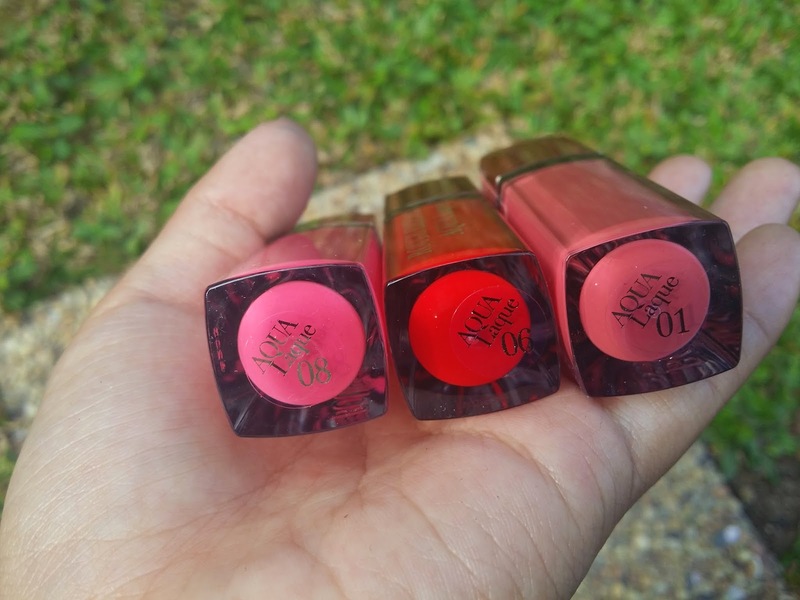 It feels like just recently Bourjois Paris came out with Bourjois Rouge Edition Velvet and now, they have something new in stores. If you've missed that, check out it out here. So, Can you guess what's new with Bourjois Paris? Yes, that lovely parcel was delivered to me on a Saturday morning! You can guess the state of excitement I was in when I heard Mr.Postman at the door just as I woke up! 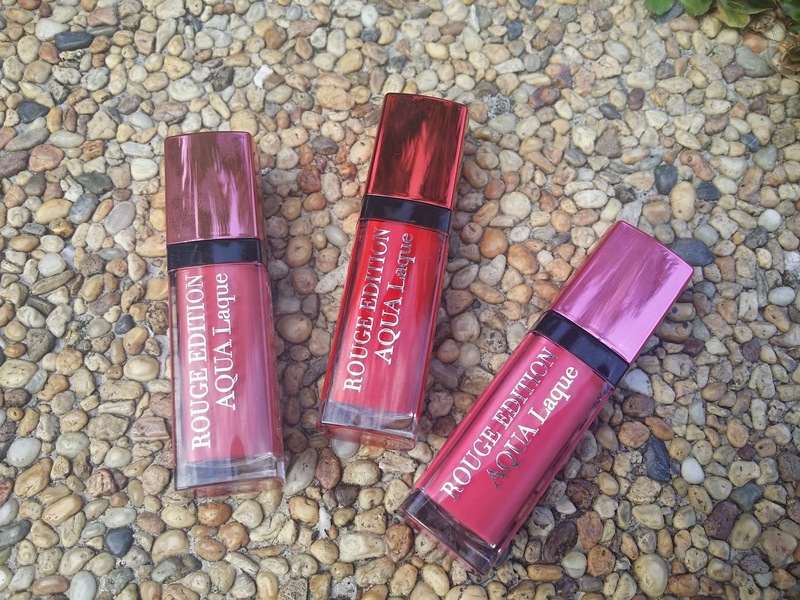 Bourjois was so kind to send me three pretty colors from the NEW Rouge Edition Aqua Laque to play with! The three colors that I received were in 01 Applechissant , 06 Feeling Reddy and 08 Babe Idole. 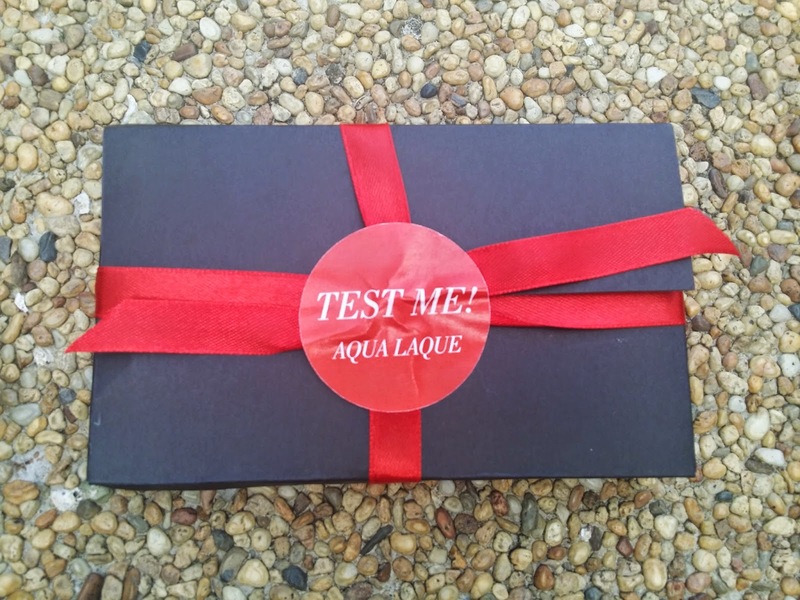 What's different about Aqua Laque? emulsion like properties which makes it makes it stay and does not transfer as easy.A twist of in between, where it gives you that intense color but with a glossy and wet look shine to it. Aqua Laque 's hybrid uniqueness combines a concentration of water and Nymphaea extract which has great moisturizing ability up 10 hours! It also contains all the elements necessary to achieve a light and extremely refreshing texture. It is butter and wax free so as to not disrupt the quality of the color. It has a soft end flock applicator which features log fibers it makes it easy to ensure accurate application for defined lips. Okay, so are we ready to see what it looks like on me? This is Bourjois Rouge Edition Aqua Laque looks on my lips. I have different favourites for different occasions. 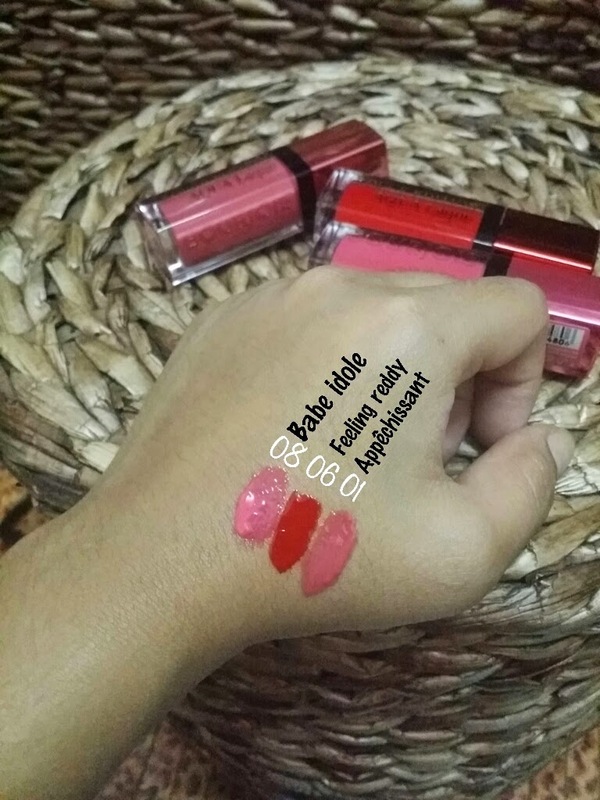 Babe Idole and Appechissant is definitely suitable for any time of the day while Feeling Reddy is perfect for night. it is best used without a nourishing or moisturizing balm or a lip liner. 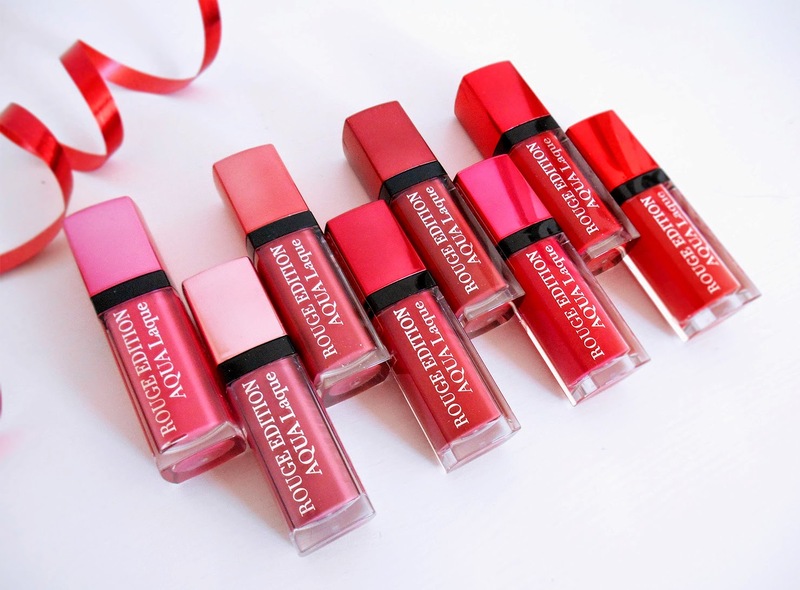 Upon application, the lipstick feels very lightweight and leaves a very cool feeling on the lips. Almost like Mentholatum, very cool on the lips. It goes on very smooth, and makes my lips look glossy. & mind you, It LOOKS very much kissable , thank you! :P I really like it ! Some of the colors a pretty sheer, so you will be able to control the intensity of it and how you would like it to be. I applied about two coats and it was just perfect for me. What I would have preferred? 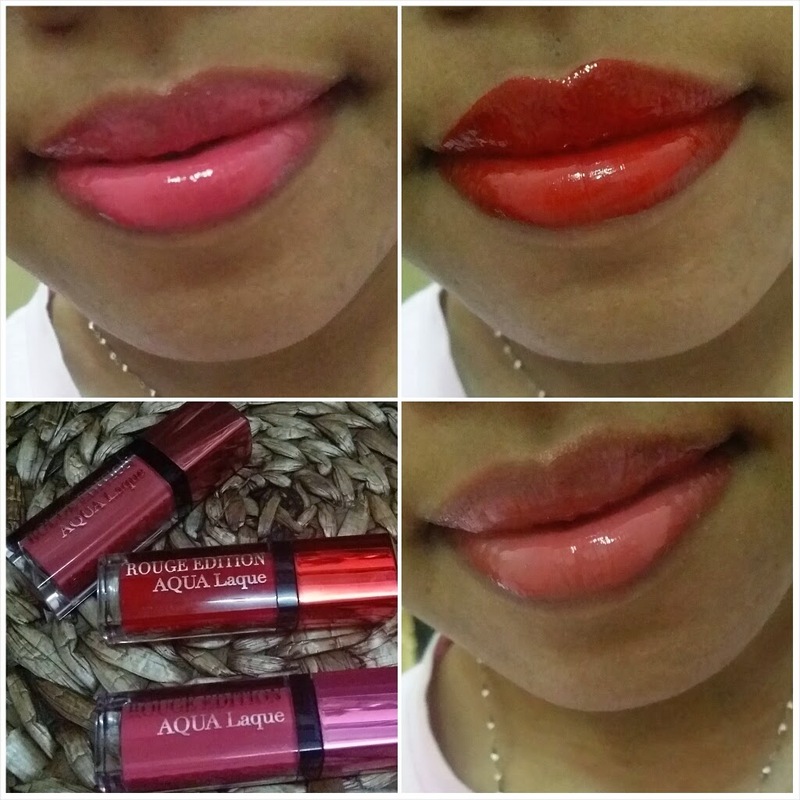 Overall, I feel that this Aqua Laque does the job of giving you a shiny glossy finish that some lip gloss can't. And for that, I definitely would give this product two thumbs up! p/s- Get this light-as-water Aqua Laque at an amazing introductory price at RM42.80 (Net Price is RM 45.50) at both Watsons and Bourjois Kiosk, Sunway Pyramid. For selected Watsons store, you get a gift with RM 60 purchase of Bourjois products; while at the Kiosk, you get a different one with RM 80 purchase. P/s- it is while stocks last only! So hurry !